Only StarClan knows how you found out the new title of Super Edition 09! But here is a page to discuss it. 😀 Cherith will be writing it, so you know it’s going to be FABULOUS! 353 Responses to "Hawkwing’s Journey Discussion Page"
If Hawkwing’s the deputy of SkyClan, then what happened to Sharpclaw? Did he die? Is Hawkwing Hawkpaw from Ravenpaw’s Farewell? 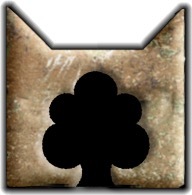 Is SkyClan going to live with the four other Clans? If so, then will they have room? Is the darkness the rogues that first drove modern SkyClan away from the gorge? Oh! Hawkpaw! Thanks for noticing that. That’s possible, but it has been quite a while since R’s Farewell. Of course, there are still some cats from those days at the lake. I wondered, too, if there could be a place at the lake for SkyClan. It would be nice to have them as part of the books in the AVOS arc & on from there. It would make sense for the rogues to be the same group rather than just a new bunch of rogues who decide to harass the clan. No! sharp x cherry! what do?! I’m not sure, but I think it would be awesome if they moved in with the other clan’s! Yes and Yes Don’t know and don’t know. Maybe becuase Dark tail ) 😀 is their leader. Sharpclaw, his father, was killed by a rogue called Darktail and his friend, Rain, who betrayed all of Skyclan. Read all of Hawkwing’s journey for more info. How will Hawkwing find the clans? Remember how hard it was for the clans to get to the lake. Hawkwing will have to do it by himself!! **** SkyClan is involved in this story, so if Alderpaw can get to the gorge from the lake, SkyClan’s deputy can get to the lake from the gorge – and, I read – maybe from Warriors.com forums? – that Hawkwing’s Journey takes place just B4 Apprentice’s Quest – but yeah, how did he find the lake to begin with? Help from their “StarClan” cats? Spoiler Alert for TaS blurb. And maybe TAQ? According to the TaS blurb, it said the group of rouges are following Alderpaw’s trail to the Clans. Perhaps Hawkwing might follow it too, or he might have a dream, although I believe that Hawkwing won’t go to the Clans – I think that he will try to restore SkyClan, or have a prophecy that will lead him far away – farther from the Clans. Well, now we know that Hawkwing will still be an apprentice when HJ starts. So that means that both Leafstar and Sharpclaw will still be leader and deputy and we should (probably) see exactly what happens to make Hawkwing deputy. I can’t wait! I hope that Skyclan is lead by Sharpclaw, Leafstar bugs me! But if Skyclan finds their way back, how will the other clans react to them not being present for the Great Battle? And I read somewhere that Skyclan has their own version of the Dark Forest so what would happen to thier version of the Dark Forest? !